Christine, Christine! Tiny as a bird, and quick as a flash, yet nothing this girl does is small. Christine contacted me when she was in search of a planner and I could not be more ecstatic to hear from her as we go way back to my very old public accounting days. Our Type A brains quickly meshed once again as we sat in my studio late last summer as I was brought up to speed on where she was in her planning process. 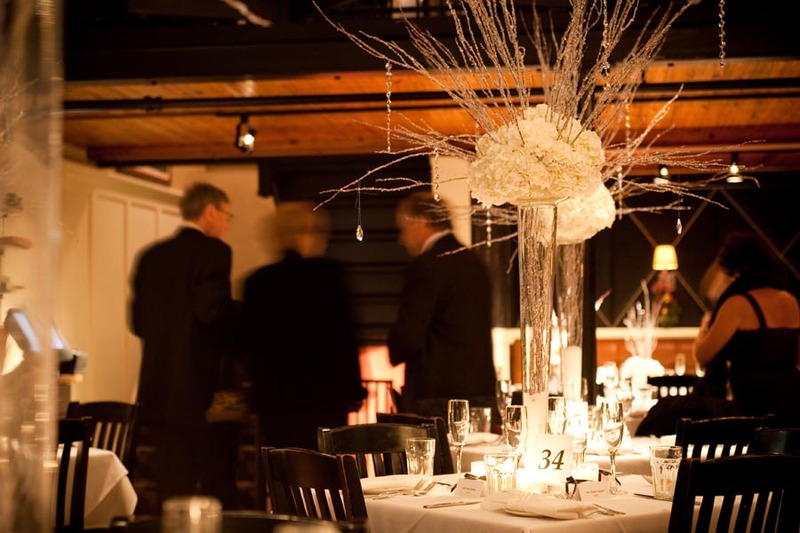 Upon searching for a venue, Christine was a little stumped to find in the greater Hartford area a metro-esque reception site that reminded her of the locations she loved in the various cities in which she had lived and/or traveled. Upon having dinner at her favorite local restaurant, Trumbull Kitchen, she mused it was the perfect spot and lo and behold they were all for it. With a downtown feel, lots of white flowers, icy crystals and an enormous dress and cake to boot, we knew her day would be nothing but spectacular and I am certain you will agree. All the gorgeous photos were taken by ever so witty Leslie Dumke and her sidekick Michelle Chappel. 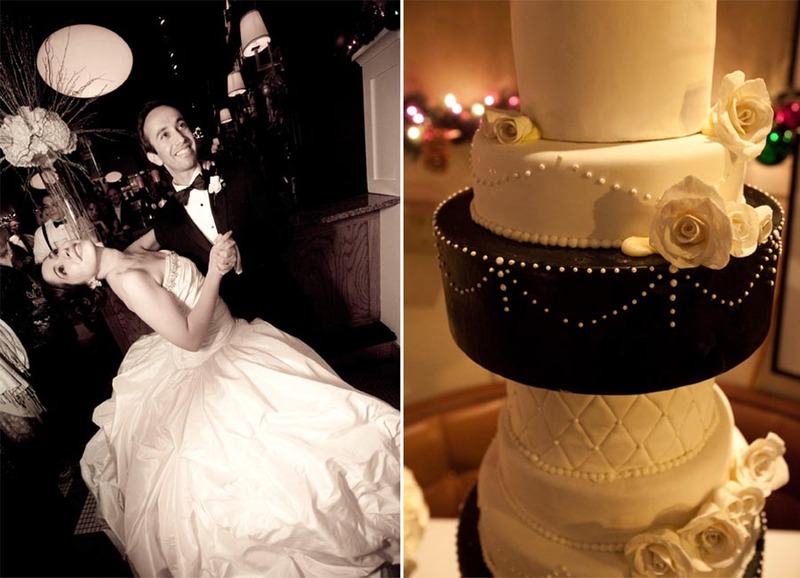 On Sunday, December 13, 2009, Christine and her maids began their preps at the recently renovated Hilton Hartford. Hair and make-up were provided by Ashley of Beauty Entourage and Candice of Salon Naomi, respectively. The crew then headed on over to the Old State House to to formally dress. 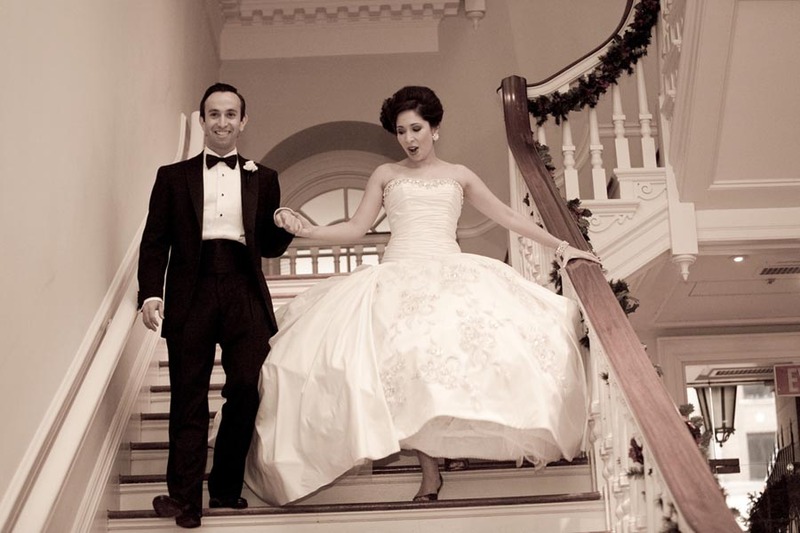 Christine donned Ines Di Santo "Aria," which she purchased at Bridal Reflections. 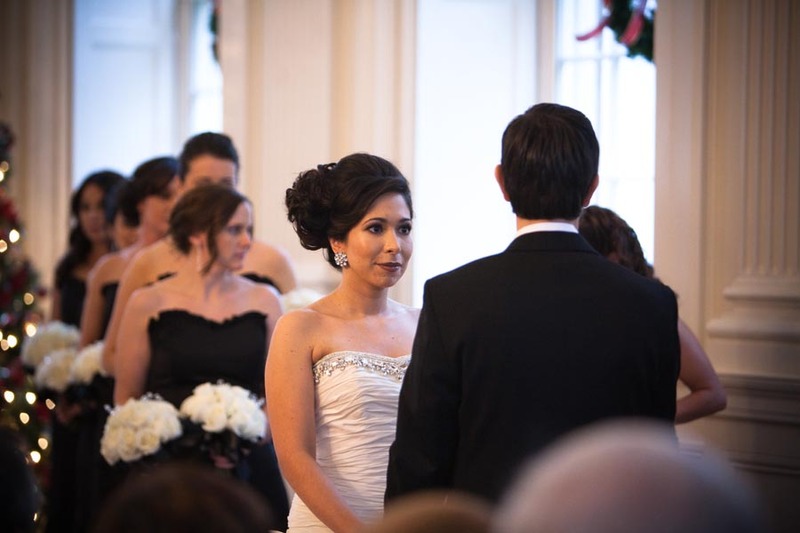 With her hair in a massive side bun, our bride was a modern Marie Antoinette for certain! 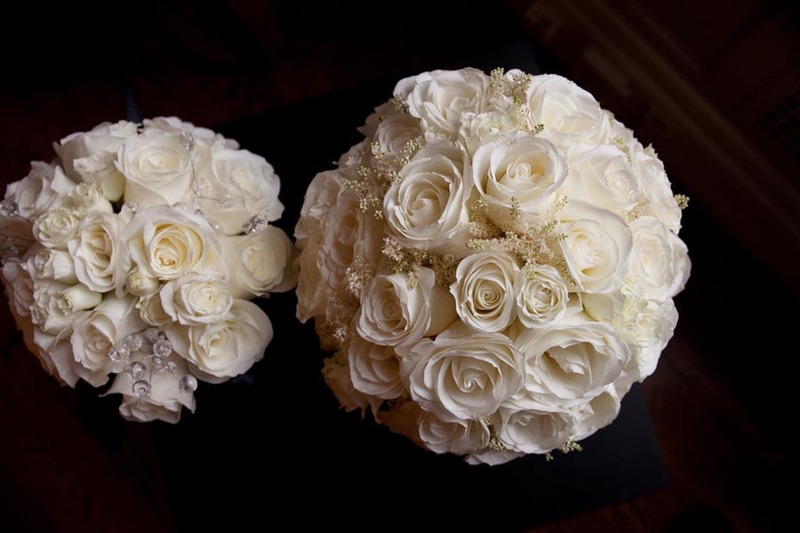 Diane Gaudett of Custom Floral Designs provided the florals and without a doubt nailed the look Christine was going for with her tightly packed white rose bouquets. Leslie, Michelle and I set up Christine and Matthew's first sighting on the second floor. The smile on Matthew's face says it all! 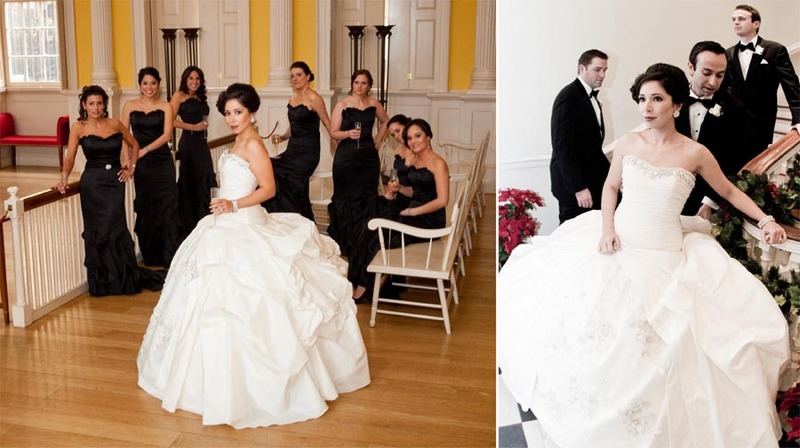 The bridal party was indeed exceptionally glam for this event. The girls wore Saison Blanche style # SB2125, while the gents sported classic tuxes. Love the tuxes, classic is absolutely the way to go! 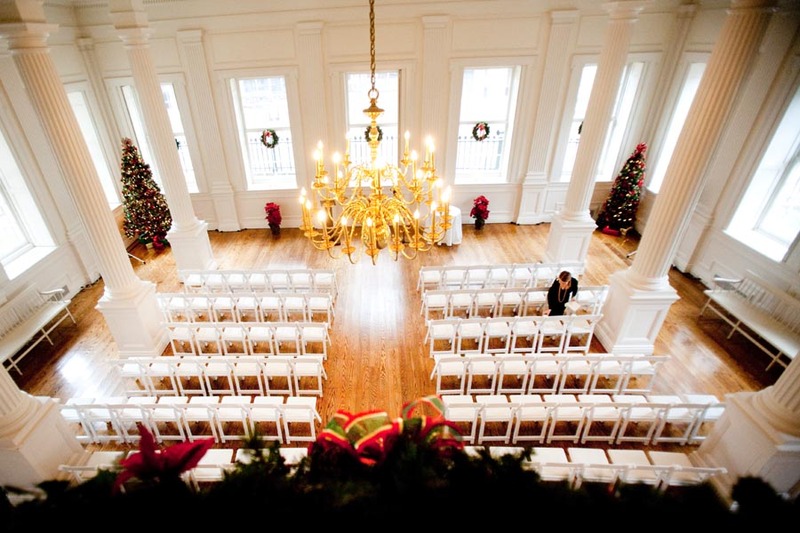 The Old State House was decorated for Christmas and was perfectly serene and lovely, just as it was. 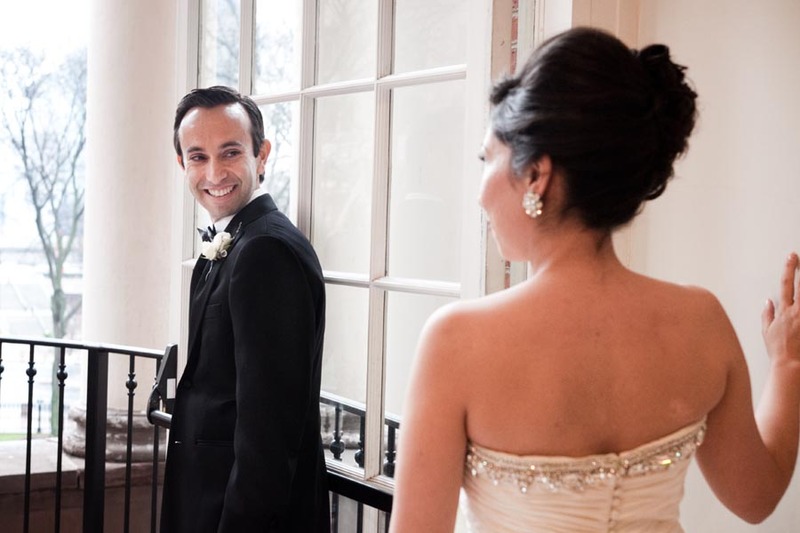 Christine and Matthew were married in the late afternoon by a touching ceremony bridging both their Christian and Jewish faiths. 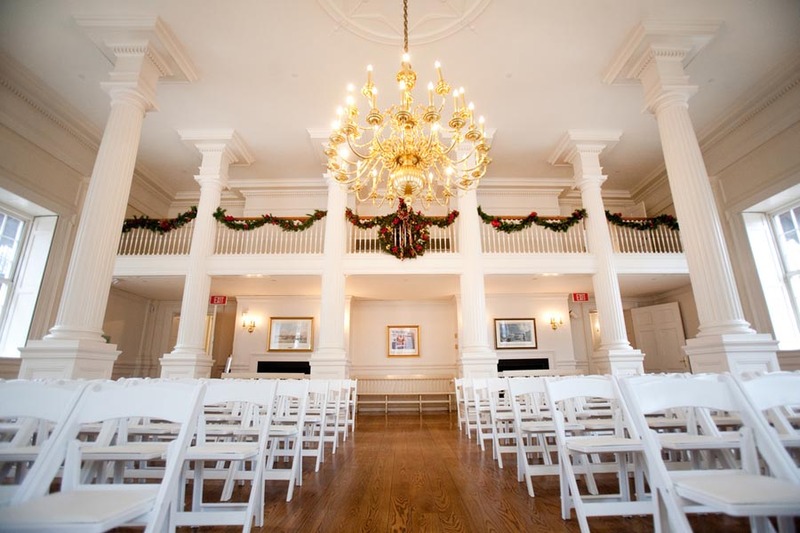 Christine fell in love with idea of walking down the aisle to modern music and had it specifically transcribed by a group in California for The Wildwood Groups, who executed it beautifully. The bridal party processed to “Knockin on Heaven's Door” by Guns N' Roses, and she was escorted by her father to "Wonderful Tonight" by Eric Clapton. 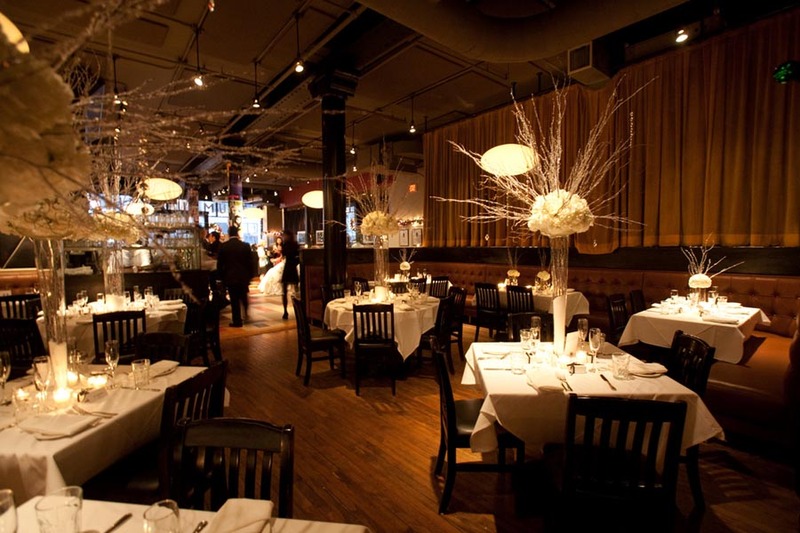 Following the ceremony, everyone headed on over to Trumbull Kitchen to celebrate. The rainy and blistery day only added the glamour of the location and the hustle and bustle. Diane did an unbelievably gorgeous job with massive arrangements on the bar, contrasted by smaller arrangements on the tables lining the walls and booths and larger cylinders on the free standing tables, all hydrangea and roses decked out with crystal branches, snow and hanging crystals; a sophisticated and posh city winter wonderland. 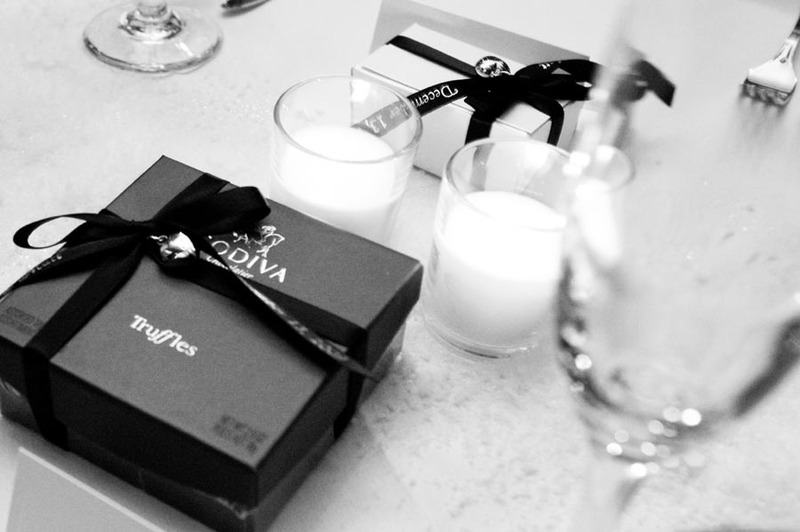 Each place setting was complete with a place card, folded napkin, menu and Godiva truffle favor. 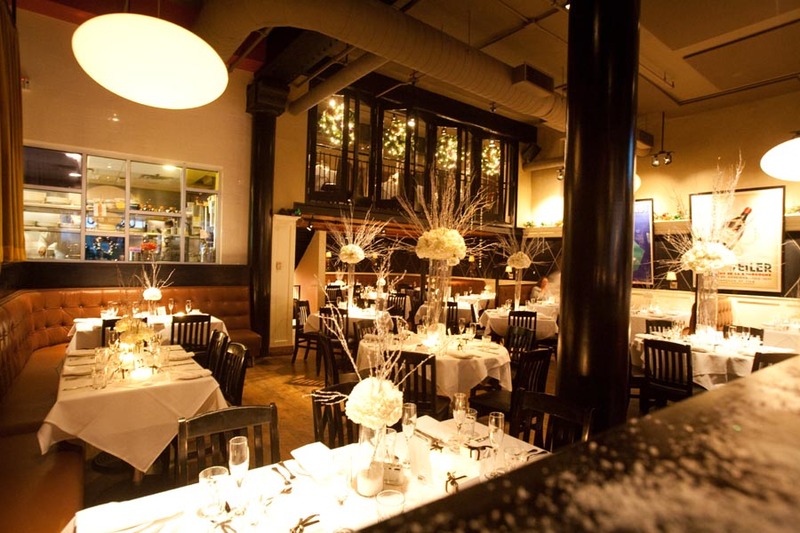 Trumbull Kitchen is known for its cuisine and this wedding surely did not disapoint. Christine and Matthew designed a 4 course tasting menu to reflect their favorite dishes from around the world. First course "Japan" featured sushi, second course "France" offered beef wellington, duck and coq au vin," third course "Italy" various pastas and fourth course "America" served meat loaf, sweet potato fries and fish tacos. YUM!!!! Jon Assunto of A & B Entertainment did a fantastic job of mixing old, new and holiday music alike. The dance floor was packed. Last, but surely not least, the icing on the cake for this grand event was without a doubt the cake itself! A nine layer, red velvet confectionary dream by Kelly Sweet Rewards. 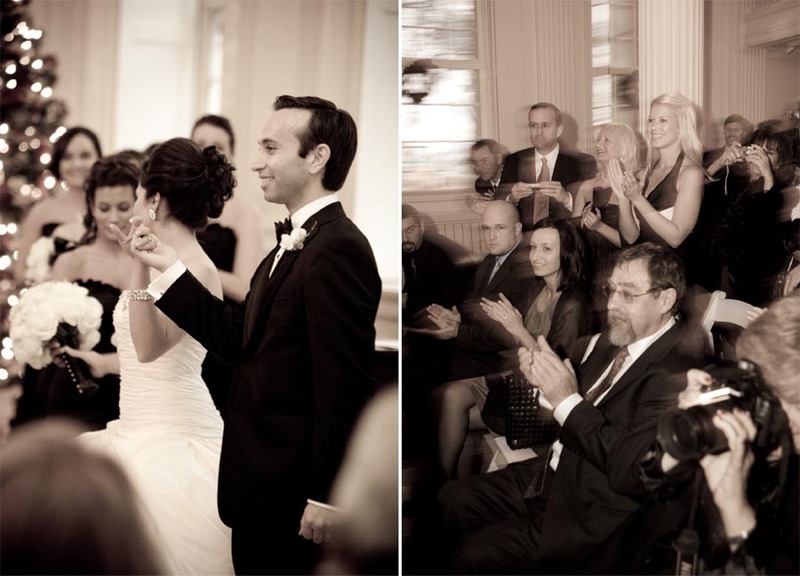 Christine and Matthew, we had an absolute blast planning with you. We wish you all the best in your new life together in California. Remain friends always!